AEGEE stands for borderless Europe and no Europe can be “borderless” with a barrier in between them. This barrier is not the barrier of roads, not the barrier of trees, not the barrier of Alps but, the barrier of us humanity known as discrimination. Equal Rights Working Group strives to break this barrier and make the Europe truly borderless. Here is an interview with Antonia von Richthofen , a policy officer from Equal Rights Working Group (ERWG) giving us information how ERWG works and their recent stand against rise of nationalism and discrimination throughout Europe. How long have you been in AEGEE and in AEGEE-Dresden in particular? Why, would you say, someone should join AEGEE whatsoever? I joined my local AEGEE-Dresden in December 2016, right after taking part in our event Develop Yourself 3, which was an amazing experience for me and thus it didn’t take me long to get addicted to our organization. I’d describe AEGEE in a few words: having fun, gaining skills, and of course: leaving your comfort zone! The challenges and adventures I already had in only two years are endless, and something I wouldn’t want to miss! 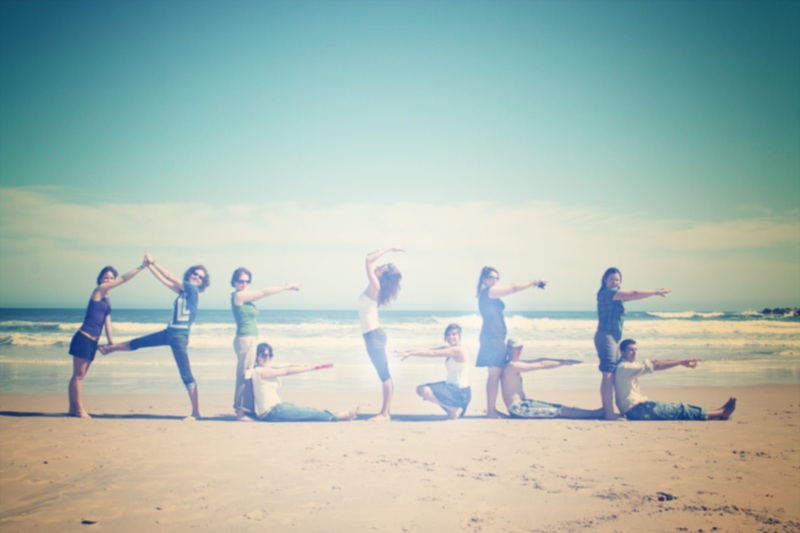 Next to important friendships and crazy fun parties, the deeper level of AEGEE is what got me – and probably all of us. All those diverse possibilities on deepening your knowledge, getting valuable skills, voicing out young people’s opinions, fighting for a borderless Europe and Equal Rights. The richness of experiences is truly unique, and I am very thankful to have come this far – who knows what is still ahead! What does ERWG stand for and what are their objectives? What is your personal role there? And What have you, and ERWG, achieved so far? 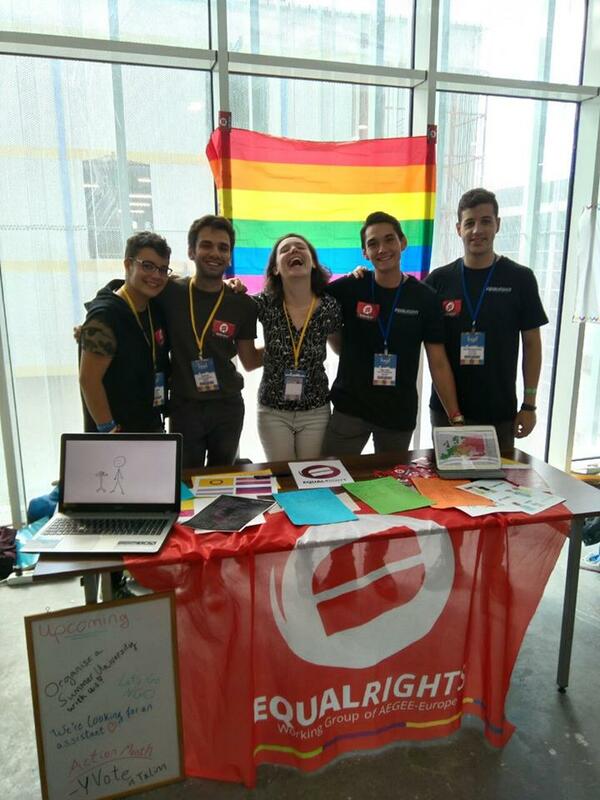 The abbreviation ERWG stands for Equal Rights Working Group of AEGEE-Europe. This group works on one of our Focus Areas: Equal Rights and strives to achieve certain objectives each year to make AEGEE more inclusive. We want to stress the importance of these topics, especially in today’s world! Fighting for equal opportunities, fair treatment and against harassment, discrimination, hate and injustice is a huge deal for all of us. Be it women’s rights, LGBTQI rights, migration problems, religious disparities. In the Working Group we want to help putting these issues back on AEGEE’s agenda, giving valuable input for example in booklets, toolkits, events or campaigns to push our members to face the world more open-minded. There are still many problems like the above-mentioned ones, also in AEGEE, we cannot ignore that. We are the youth of Europe, we are the future and will shape the world of tomorrow. Thus I see it as being a top priority to not ignore the problems, the discrimination, the hate we have to face daily, but to tackle them and create an even discussion amongst young people. 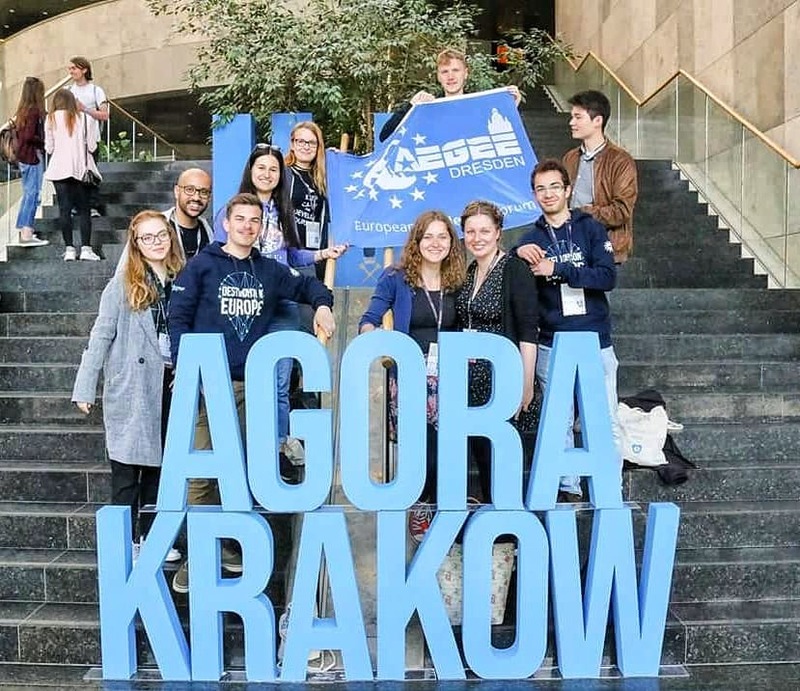 As high peaked as all this may sound, as Working Group we can only do that much – firstly, we are depending on the one thing that defines AEGEE: its members! The two terms our WG existed now, there were several great actions. As Policy Officer I am regularly writing statements on recent events, however, this is only a tiny bit of our work. 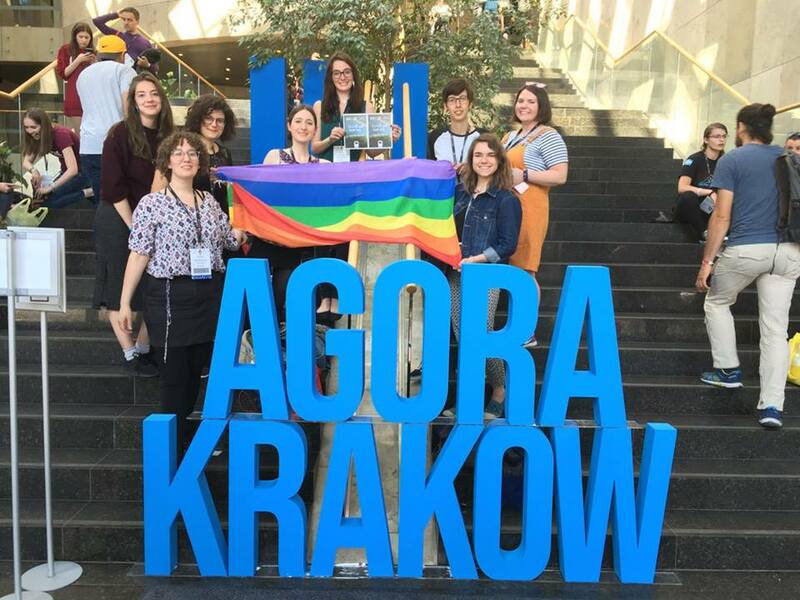 Last year we developed a booklet on ER activities, there was a project where members travelled around to discover Prides, there were two big conferences on Equal Rights. This year we have high goals as well, we are managing the content of one Y vote convention in Tartu, we will support a few locals on organizing a TSU on ER, there are cooperations on LTCs with locals and we are supporting the Safe Person Project. By the way – this March there will be our Action Month and we are hoping to engage many locals to organize something in order to promote Equal Rights! Where does ERWG of AEGEE Europe stand in relation to discrimination and recent nationalist movements in Europe? The ERWG recently took a stand by writing a statement and supporting the initiative of the International Day against Fascism and Antisemitism on November 9th calling upon locals to stand up against these worrisome developments in the world nowadays. It was pretty much a first for us, but I believe that what many people tend to forget is: discrimination is a widespread topic! It hits many minorities and genders, but we also tackle concerns like origin, religion, skin color, etc. We clearly condemn any prejudicial treatment of all kinds, and also want to position AEGEE-Europe more opposing towards these issues. What can you say regarding your position on the recent nationalist movement in Chemnitz? The events in Chemnitz, Germany in August 2018 were truly unsettling not only for the German state but it also had a big impact on international news. For me and especially for AEGEE-Dresden this was a definite time to speak up, after all, we are the AEGEE local closest to the city of Chemnitz, and thus also deeply inflicted by the terrible nationalistic demonstrations. As AEGEE I believe we MUST take a stand against occurrences like that, let alone because our values of a democratic, borderless, inclusive Europe do extremely differ from the motivations and voices that called many German citizens to the streets this past August and September. As a pro-European youth organization, we cannot sit silently and watch the downfall of justice and tolerance. This goes out for all other bodies of AEGEE, if you ever face a challenge like that! Just a small action can be meaningful already! That is why I value AEGEE a lot, we have some amazing initiatives and projects tackling discrimination and other problems of modern Europe. Be it Y vote to fight against political apathy or the activities through the Migration Interest Group during the Human Rights Day. What were the problems you faced? Who were your opposition? How did you overcome the challenges and the barriers created by the opposition? After the events of Chemnitz the topic was of course of high interest in AEGEE-Dresden. Luckily however, our group consists of very energetic, active members interested in politics, thus the decision was easily made that we had to take a stand against these nationalistic movements, as we already did against the so called PEGIDA group in Dresden, too. As a conclusion, including myself, we found very fast a few individuals who wanted to work on the statement, which we published on our website in September. Something that I noticed after getting active on the European level of AEGEE was that on quite a few parts we are not as far as we might think. There are still many issues that we must tackle within our organization, too. First approaches were made when the Safe Person Project (SPP) was called to life, in order to ensure a safe environment for every member in our events. This project is growing bigger and bigger (recently SMASH was also finally founded) and I believe it will hit AEGEE big time this year. From ERWG’s side, I am also supporting the SPP team, since opposing sexual harassment is one of my key goals as an AEGEE member. That there are still many occasions where we can’t ensure a comfortable and inclusive sphere for all our members, is something me and my WG want to help changing during our term. What impact have your activities made? Is there any particular image of Europe that ERWG members wish to attain? ← SMASH: AEGEE Steps-up Efforts Against Sexual Harassment!